Anybody who knows me, knows that I’m a total sucker for feel-good, underdog movies. If they also happen to be true stories, you’ll witness me melting into an inspired puddle of happiness in need of a box of tissues. You can imagine what I was like when I saw the movie, McFarland USA, one of the most uplifting running movies I’ve seen in years. For those of you who have not seen McFarland USA yet, do yourself a favor and rent it on NetFlix. Yes, it’s a running film, but it’s so much more. While I would definitely encourage you to check out this film, this post is not meant to be a movie review. 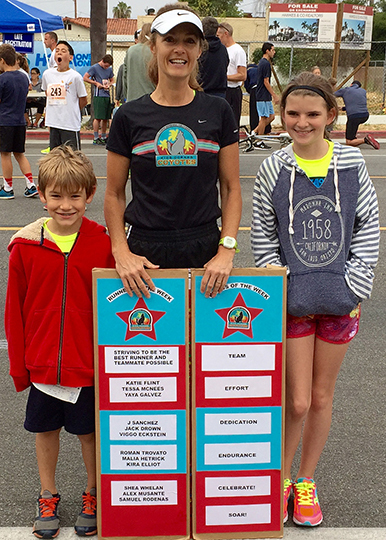 Rather, I wanted to share a fun moment of serendipity I experienced last weekend, related to McFarland USA. 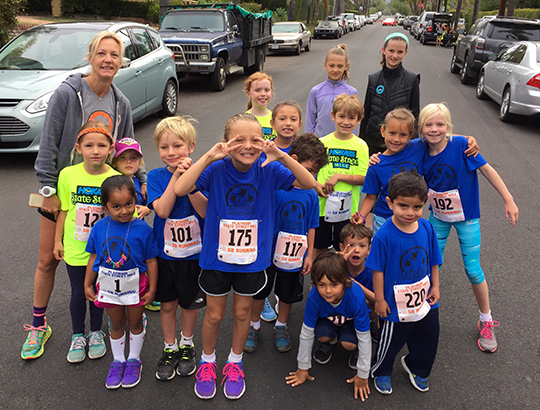 On Sunday morning we held our final gathering of our Coyotes youth running club. 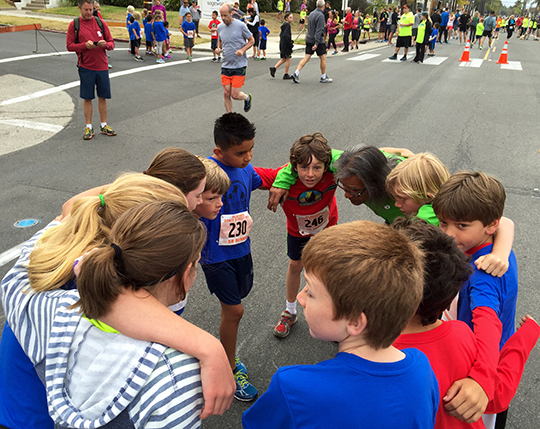 Our team of thirty-six kiddos, ages 4-12, all gathered at the starting line of the State Street Mile to compete, and afterward celebrate our team’s effort for the season. 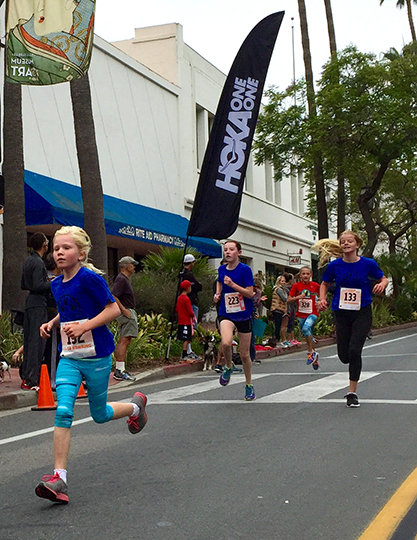 It was pure joy watching these kids soar and give it their all, many competing in their first race ever. It’s truly what this coach lives for—witnessing that sparkle of confidence as they cross the finish line. 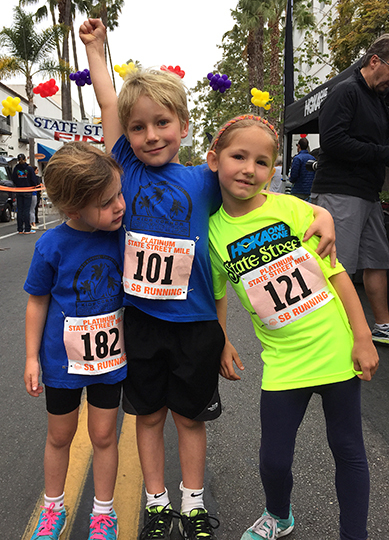 After the race, we reveled in our team’s accomplishments, handed out awards and enjoyed a sweet treat. Near the end of it all, the team surrounded us coaches in “running love”—hugs, thank yous, gifts, etc. It was incredibly sweet and humbling. 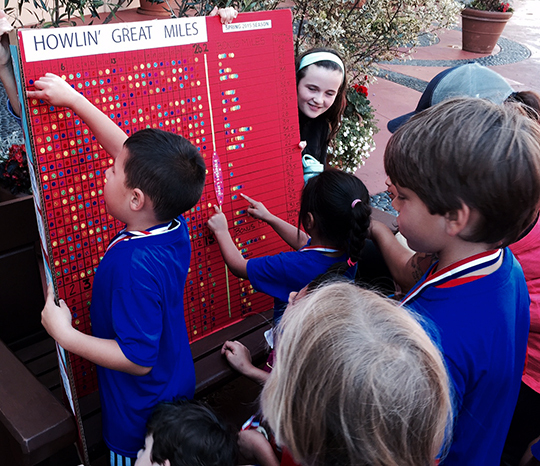 While this was all going on, out of the corner of my eye, I noticed a stocky, fit looking guy studying our team’s mileage board with the intensity of a detective. I figured he must be a relative of one of our kiddos whom I hadn’t yet met. He let out his breath and laughed. “That’s fantastic!” I said, but before I could say anything more, I was interrupted by more hugs, thank yous and questions from parents. In the midst of our very broken conversation, I told him he could email me if he had any other questions. Then he slipped away and I refocused on the kids and parents before me, my head still spinning from all the excitement of the day. It wasn’t until I got home that I finally put two and two together about who I’d been talking to that morning. 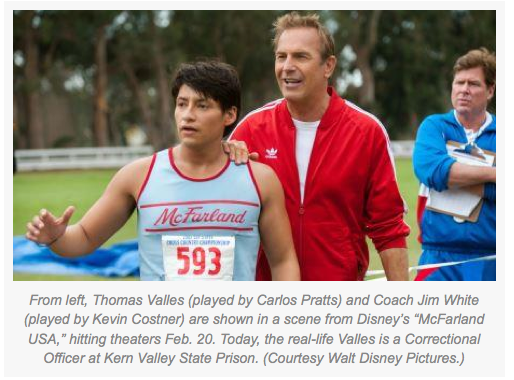 It turns out it was none other than Thomas Valles, the star of the real 1987 McFarland USA cross-country team, the one in which the fabulous movie is based. 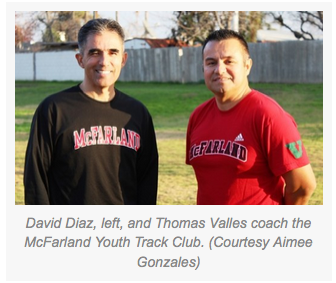 Valles is now one of the head coaches of the McFarland Track Club and is paying it forward to this generation of kids. How cool is that? That’s him on the right in the picture below and his fellow coach and former teammate, David Diaz, on the left. Here’s a picture of him from 1987 taken by photojournalist, John Harte. Check out Harte’s blog for more terrific images of the team from this era. Here’s the film version of Thomas Valles. It’s probably good I didn’t know that the person who wanted to “steal my ideas” was Thomas Valles. I would have been star-struck instead of simply being in the moment, sharing ideas and my love of running and kids with a fellow coach. 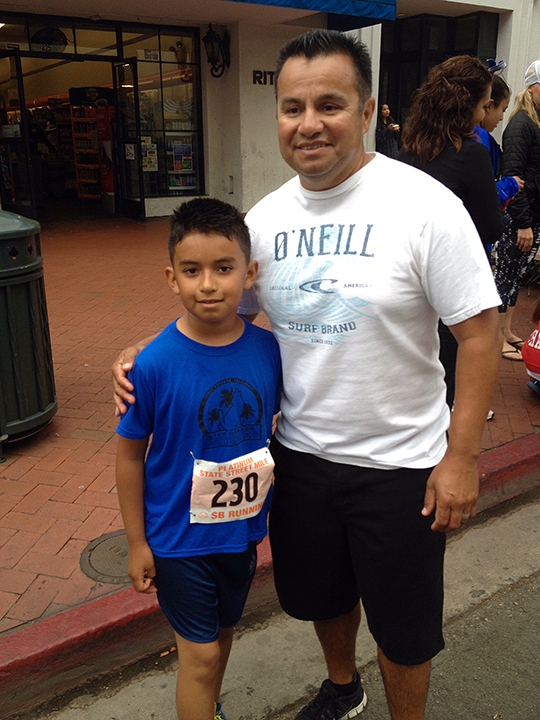 I was especially tickled because one of our young runners, J, ran a PR, and said he had been inspired by McFarland USA, which he and his family had watched the night before the race. Squeeee! 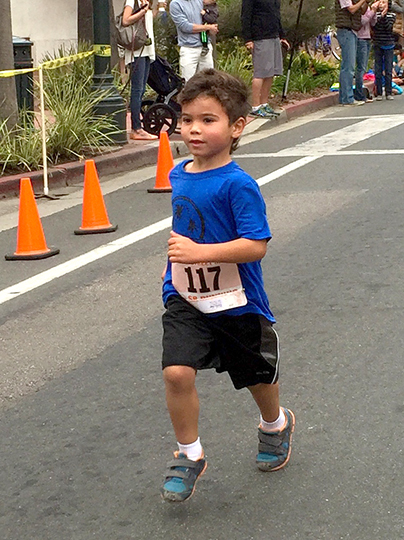 And fortunately, his parents had recognized Valles and snapped a picture of J with him so he can always have this special memory of the State Street Mile. 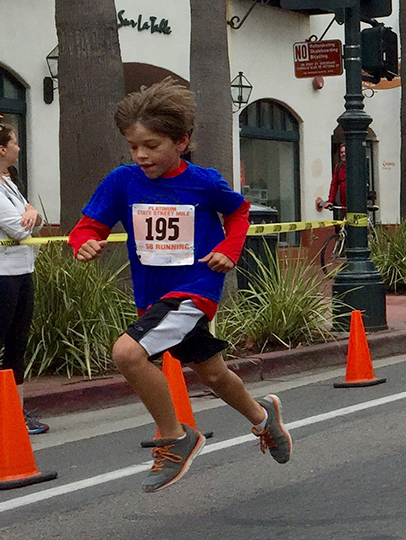 Thomas Valles, next time you’re back in Santa Barbara, I hope you’ll swing by again and say hi to our Coyotes running club. You have a lot of fans here, young and old, who have been inspired by you and your team.